Jean Vilar, actor, writer and director, founder of the Festival d’Avignon and artistic director of the Théâtre national Populaire was one of the most prominent figures of 20th century theatre. Throughout his entire career, he not only championed the concept of popular theatre, he also put it into practice. He was committed to placing the public at the centre of artistic creation and maintained that the theatre should be a public service. The performances he staged at the Théâtre National Populaire, in Avignon and while on tour, attracted almost 5 million spectators! Jean Vilar is still a reference for all those who think about and work towards sharing art and culture with the greatest number of people. 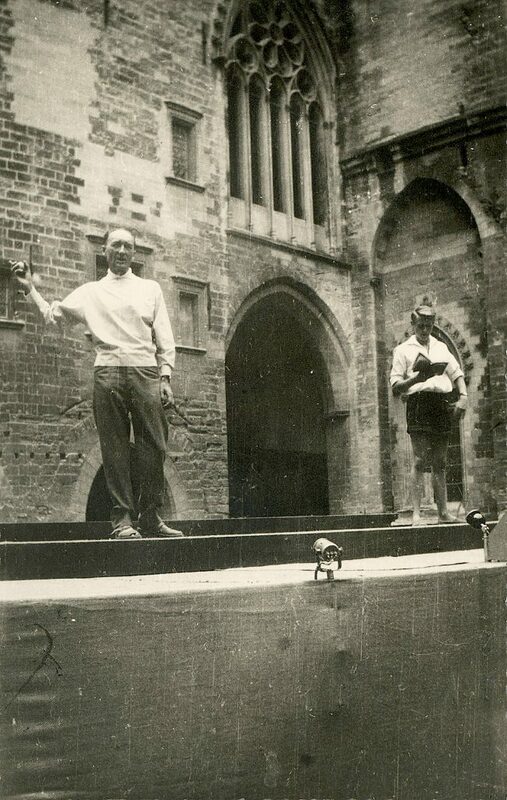 1932 – moment of epiphany while attending a rehearsal of Richard III at Charles Dullin’s Théâtre de l’Atelier. 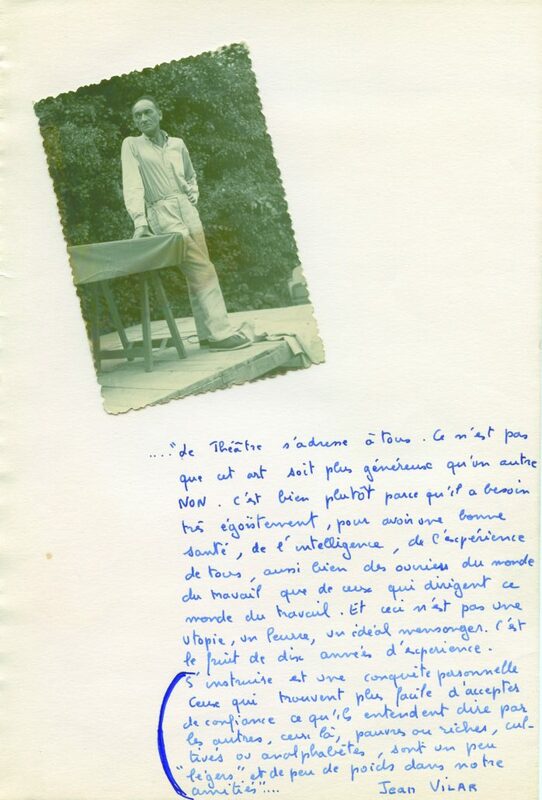 1941 – meeting with André Clavé who invites him to join his troupe, La Roulotte. 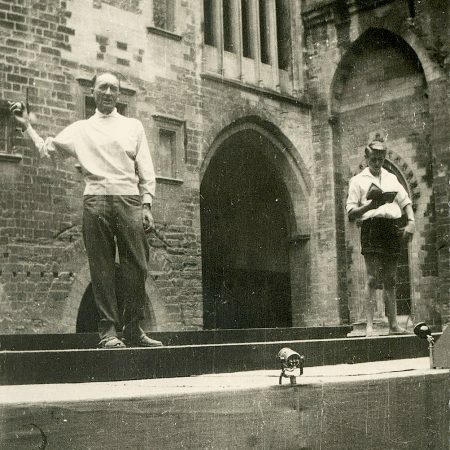 1945 – staging of T.S. Eliot’s Murder in the Cathedral at the Théâtre du Vieux Colombier. This was his first big success. 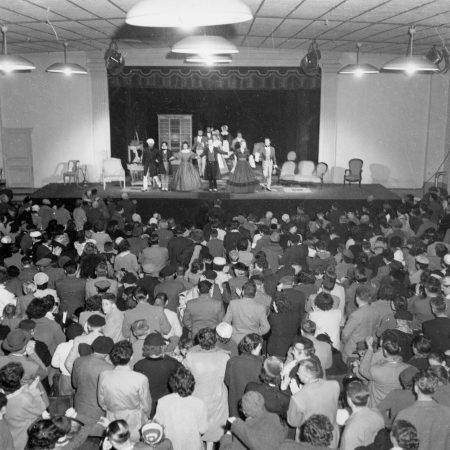 4th-10th September 1947 – Three new productions at the Semaine d’Art Dramatique (Dramatic Arts week) in Avignon. 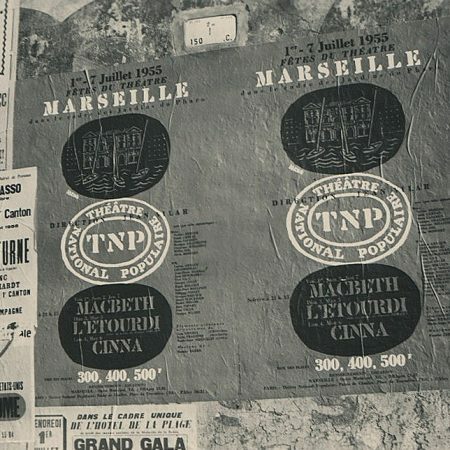 August 1951 – Appointed as Director of the Théâtre National Populaire. 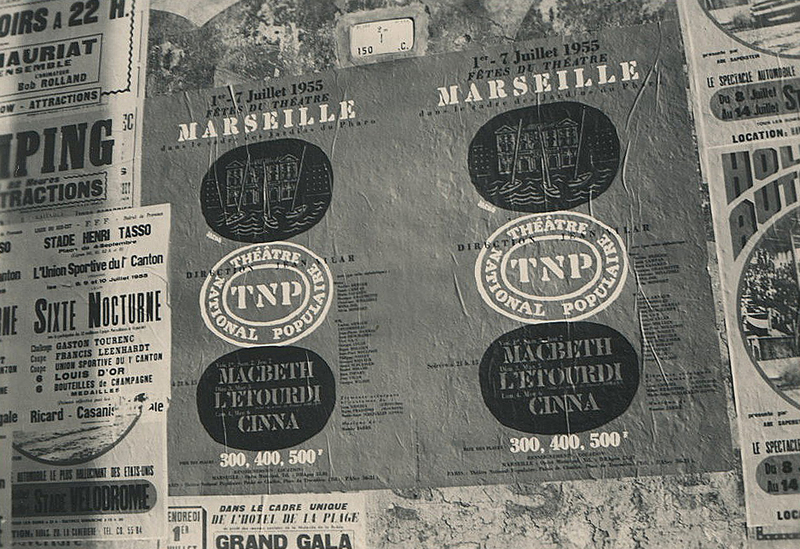 November 1951 – first performances by the TNP: Le Cid (Corneille) and creation of Mother Courage (Brecht). 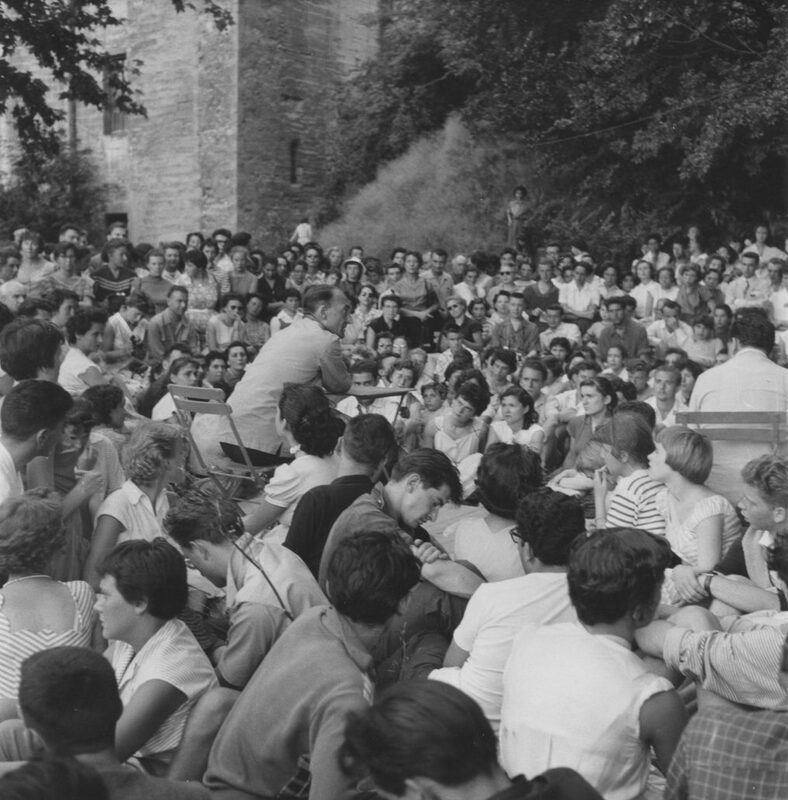 1954 – The Semaine d’Art Dramatique (Dramatic Arts week) becomes the Festival d’Avignon. 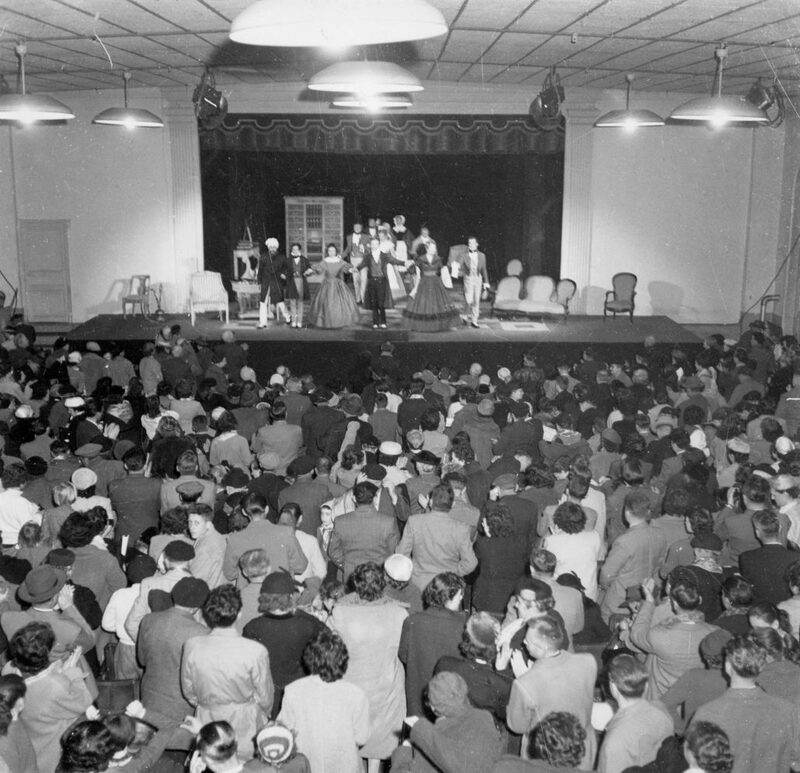 November 1959 – Première of Le Crapeau-Buffle (Gatti) at the new Théâtre Récamier, an annex of the TNP used exclusively for staging original texts by contemporary playwrights. 1963 – Vilar refuses the renewal of his contract as director of the TNP. 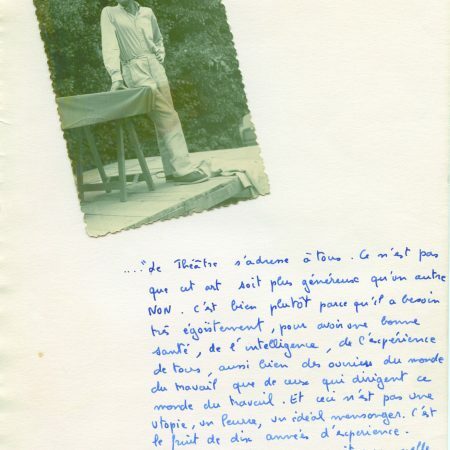 28th May 1971 – Death of Jean Vilar in Sète. Burial in the maritime cemetery.